October | 2010 | 50 Westerns From The 50s. No matter what you’re going out as, here’s hoping you’re have a fun, and safe, Halloween. 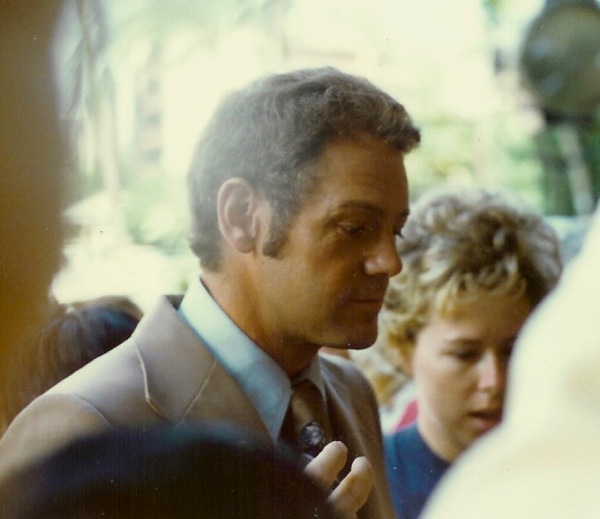 James MacArthur, who played Danny Williams on one of my all-time favorite TV shows, Hawaii Five-O, has passed away at 72. 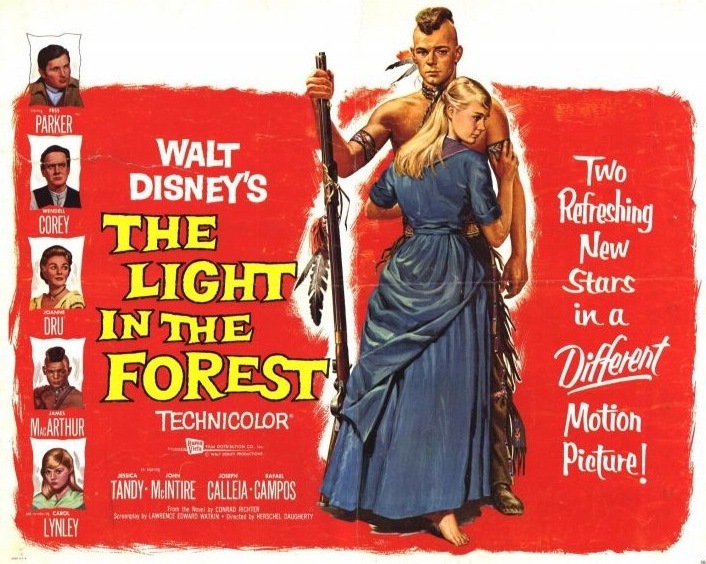 His only 50s Western is Disney’s The Light In The Forest (1958). 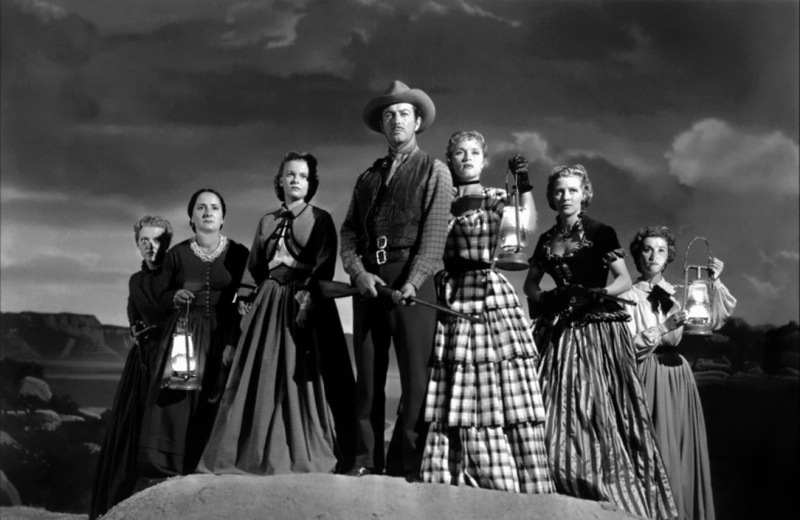 Capra’s original story was called “Pioneer Women.” Westward The Women (1951) is easily one of the better Westerns from MGM, a studio that didn’t have much of a grasp on the genre. 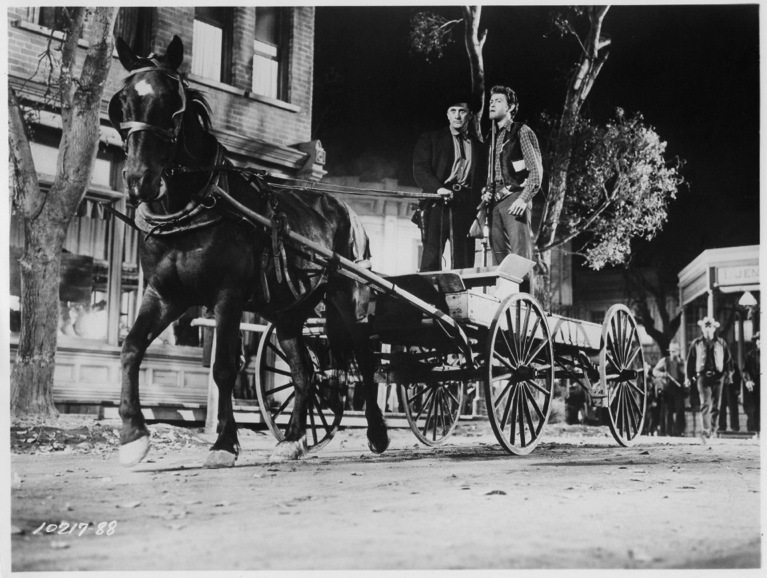 To mark the happy occasion, I’ve got a DVD of Sterling Hayden in Joseph H. Lewis’ Terror In A Texas Town (1958) for the first to come through with the picture’s working title. Use the form below to send in your answer. Good luck. If you’ve never seen this one, it’s a must — a strange, cheap little picture with a script by the blacklisted Dalton Trumbo. It was Lewis’ last theatrical film before he headed into TV to give us a ton of great episodes of The Rifleman, among other things. UPDATE: Congrats to Richard Vincent. Terror In A Texas Town began production as Hard As Nails. Colin over at Riding The High Country has posted another great piece — this one on Last Train From Gun Hill (1959). Read it when you get a chance. Or better yet, watch the film, then read Colin’s post. This is one picture where the more time I spent with it — watching it, researching it, or reading something like what Colin has written — the better sense I get of just what a good movie it really is. It’s so intense and entertaining, you lose track of its many qualities — from the performances to Charles Lang’s VistaVision cinematography to Dmitri Tiomkin’s score. Republic reaches the end of the trail. 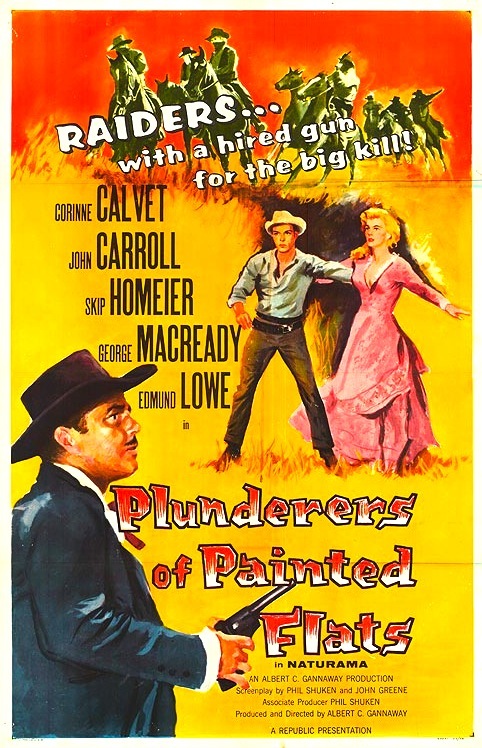 Plunderers Of Painted Flats was released in January 1959 (the poster calls it “a Republic presentation”). It starred Corinne Calvet, John Carroll, Skip Homeier and Joe Besser — and was in black and white ‘Scope (Naturama). 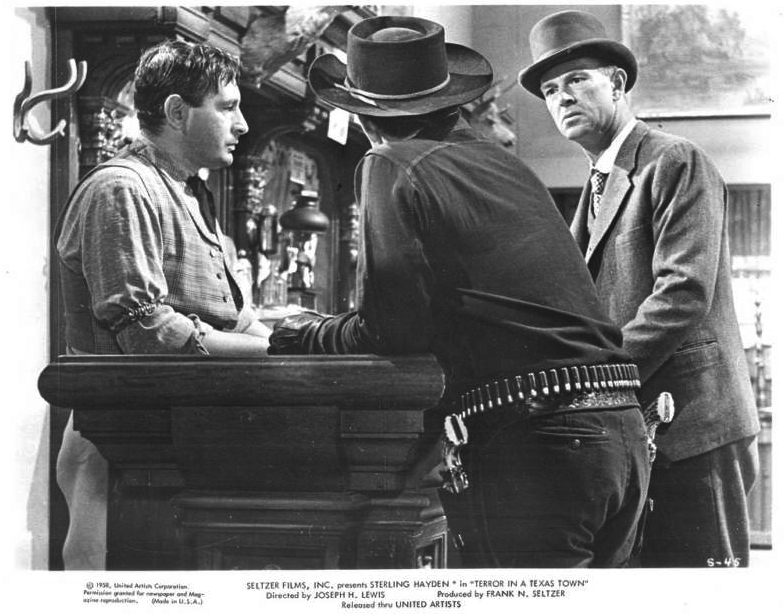 Its director, Albert C. Gannaway, did a short series of these threadbare widescreen Westerns for Republic. At least one of them, Man Or Gun (1958), is pretty good. That July, Republic was no more. 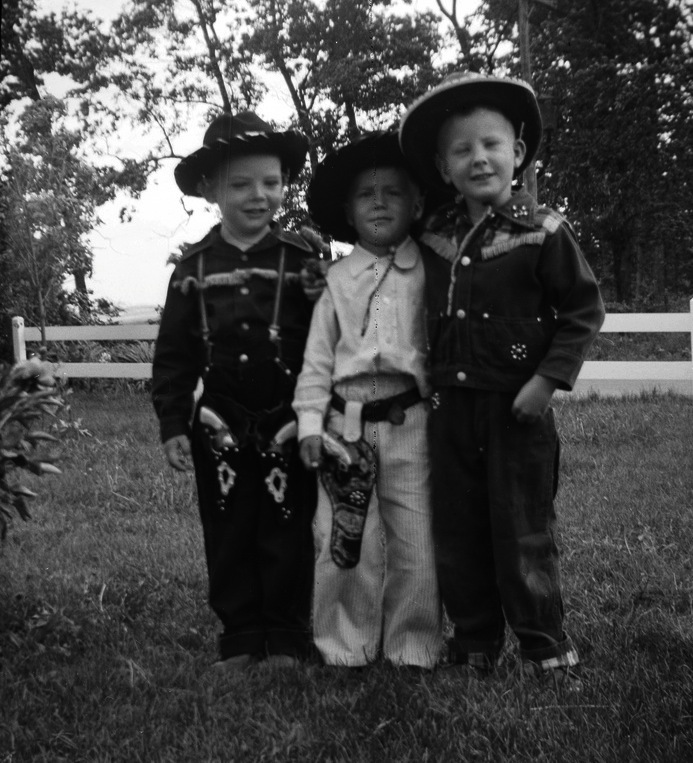 There was no way the Western could be the same after that. 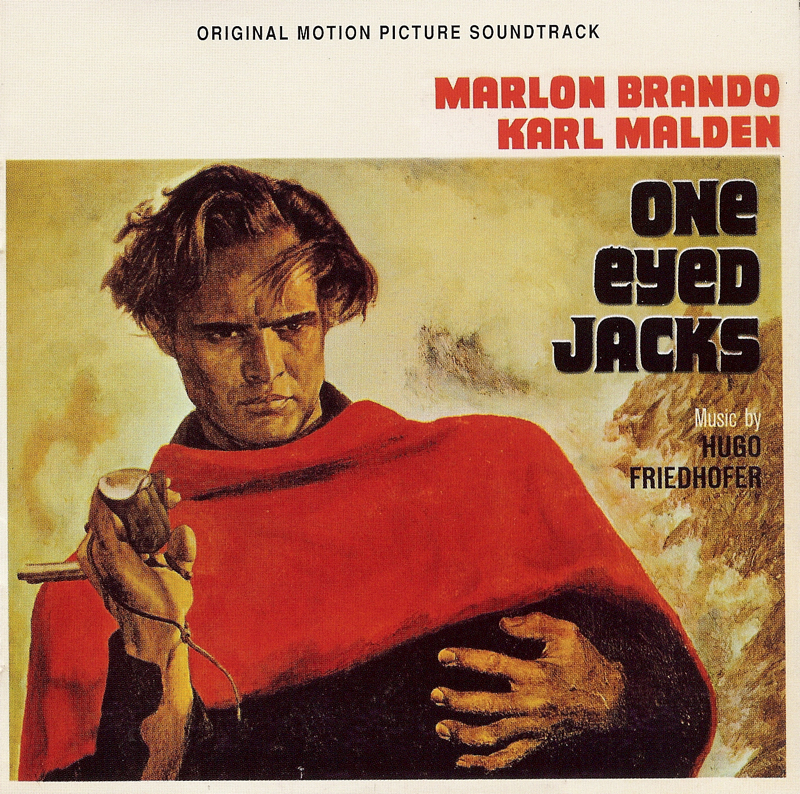 Two CDs of One-Eyed Jacks. I’ve posted on One-Eyed Jacks (1961) before. 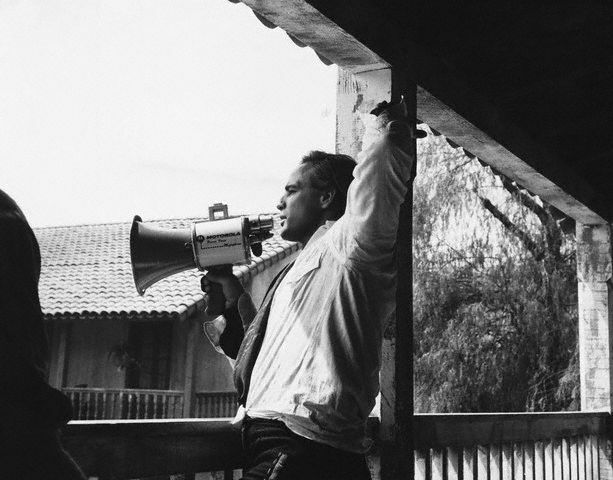 Jettisoned from the 50s by Brando’s self-indulgence, it would’ve been an interesting cap to the decade’s cinematic West. It’s still one of my favorite Westerns. One of its many strengths is Hugo Friedhofer’s music, for years represented by a single soundtrack LP — only half the actual score. But that’s been rectified by the Kritzerland two-CD release. Disc One is the original album, with a couple alternate takes. Disc Two is where things really get interesting — the complete score in stunning stereo. The amount of care that went into this project is obvious — and everyone who touched it should be proud. Limited to just 1,200 copies, it’s already getting hard to find. Wouldn’t you love to see the film itself get the same attention on DVD? UPDATE: A bit of One-Eyed Jacks news here.